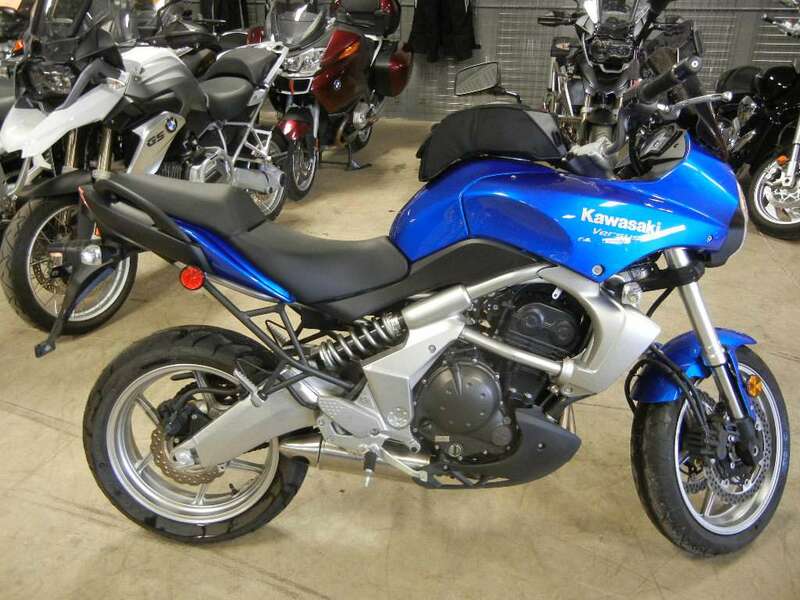 One of the bikes I have been dreaming about is a Kawasaki Versys. I’ve watched countless YouTube videos of ride-alongs, read several comparison reviews, and heard from a few people how good of a bike it is. When I saw that a nearby dealership had a 2009 Kawasaki Versys in their inventory, I decided to go check it out. I was actually really happy to discover it was at a BMW dealership. In my experience, their staff is usually friendly and helpful, AND they actually let you test ride (used) bikes. I really don’t understand why so many dealerships won’t let you test ride a bike you’re interested in buying. I get that it’s a liability, but surely they have insurance? My insurance covers me no mater what vehicle/bike I’m in/on. My insurance also covers my bike no matter who is riding it (so long as they’re license and insured themselves). You can test drive cars (brand new cars, even), and those are way more expensive and can cause a lot more damage than a motorcycle. I bought my Nighthawk without a test ride, and, fortunately, that turned out okay. But now that I know how to ride and know a little about bikes, I will never, ever buy another one without a test ride. Too many little things can’t be discovered by just sitting on a bike or listening to it run. You actually need to ride it. I’ve walked out of two dealerships now that have refused me a test ride. Sorry, I’ll take my money elsewhere. 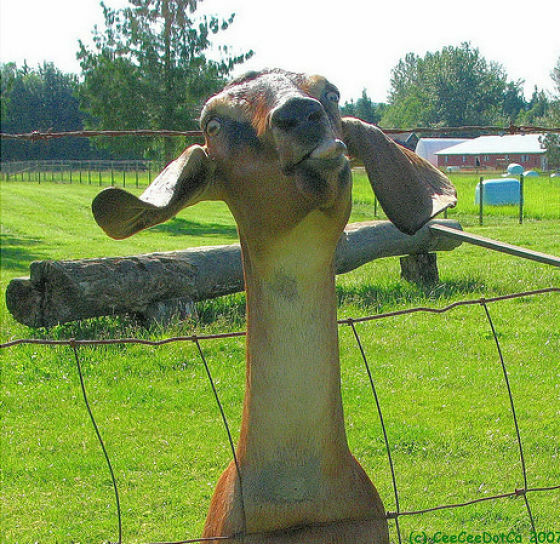 It just really gets my goat. What do you mean, no test rides?! Anyway. I drove out to Countryside BMW on LaGrange Rd. and asked to look at the Versys. It was love at first sight. Thank goodness I took a test ride. 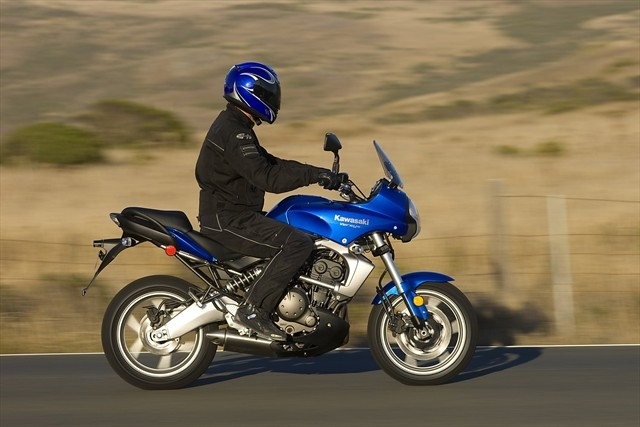 The bike was a gorgeous blue–the exact color I wanted if I were to get a Versys. When I sat on it in the showroom, if felt a little heavy but not too heavy that I couldn’t manage it. The seat was fairly comfortable. There was enough room for my wife on the pillion if she were to ride with me some day (my ultimate goal). I asked the sales guy if I could take it for a test ride, and he said, “of course.” Just like that. He asked if I had a helmet (I had all of my gear with me just in case), photocopied my license, had me sign a waiver stating I’d pay for any damages and that the dealership wouldn’t be responsible for any injuries. That seemed reasonable to me. So, I grabbed all my gear out of my back seat and put it on while they put some fuel in the bike. They gave me a brief overview of the controls. This bike had a throttle lock on the hand grip. I had never seen one before so that was good to know in case I accidentally engaged it somehow. Then I turned the key, hit the starter, and it roared to life. (I love fuel injection!) I blipped the throttle a little, and let the clutch out a little to see where it caught. Then, I took a great big breath, put the kick stand up, and slooooooowly took off. I continued holding my breath as I navigated through the parking lot (why are there so many expensive bikes all over the place?! lol). When I made it to the end of the driveway, I finally released my breath. Whew! I didn’t stall it, didn’t fall off, and didn’t hit anything. I could have stopped right there and felt like I just made a major accomplishment. But I pressed on! Finally, someone waived me on in front of them (woohoo, rush hour traffic! ), and I cautiously worked my way into the lane and came to a jerky stop behind the next car. Those brakes are touchy! The light turned green, and I let off the clutch and gave it some throttle. Stalled it. Whoops. I hit the starter button and it fired right back up. I gave it more throttle this time when releasing the clutch, and vrooooom, away I went! I turned right at the light and felt really good on the lean. The bike seemed pretty agile. I took a left at the next light, to a less busy road, and decided to experience the accelerating power of 650cc’s. Braaaaaaaaaaaaap! Throttle, clutch, gear, throttle. Braaaaaaaaaaap! Throttle, clutch, gear, throttle. BRAAAAAAAAAAAP! Now, I needed to slow down for a stop light. I pulled in the clutch, rolled off the throttle, and went to click the shifter down into 5th. Nothing but air. Where’d the shifter go?! I leaned over a bit spotted it. The shift lever on the Versys is much closer to the frame than it is on my bike, and narrower, too. I angled my foot inward and finally got a foothold. I decelerated down through the gears smoothly. As I was coming to a stop, I squeezed the front brake, and got pitched forward suddenly. Whoa! I let go of the lever, and got pitched backward. Then I tentatively squeezed the brake again and came to a very ungraceful stop. Thankfully, I was going quite slow, so I wasn’t thrown from the bike and didn’t lose control. I knew the brakes on my Nighthawk were not that great, but I didn’t know just how awful they actually were until I braked on the Versys. It’s not that my brakes need replaced, they still have plenty of wear left. It’s just the difference between disc brakes and drum brakes. And what a difference it is! As I was sitting at the light, I noticed that the Versys is a pretty tall bike. I was up on my tiptoes to touch the ground on both sides, and had to lean to one side and stay on the ball of my foot to hold it up while stopped. After a few more stops, I realized this was really uncomfortable, and I didn’t feel as in control of the Versys while stopped as I do my Nighthawk which I can flat foot on both sides. I know you can have bikes lowered, of course, but I’m not crazy about the idea. While riding around at a good clip, I noticed that if I bent forward about an inch or two behind the windscreen, the wind noise practically stopped. When I sat back upright, I was hit with a blast of buffeting wind that knocked my head around. The windscreen looked adjustable, so I pulled into parking lot, made really sure the kickstand was down, and slid off the bike to adjust it. I ratcheted it up as tall as it would go, half-jumped back on, and carefully made a U-turn in the parking lot. Slow-speed maneuvering would take a little practice on this bike since it’s heavier and taller than what I’m used to. Back on road, cruising at 55 mph, the taller position of the windscreen was doing absolutely nothing to help the buffeting. I ducked my head down a bit and was met with near silence, lifted it back up and was hit with roaring wind. I’ve never ridden with a windscreen before, so I had no idea what a difference it could make (both good and bad). 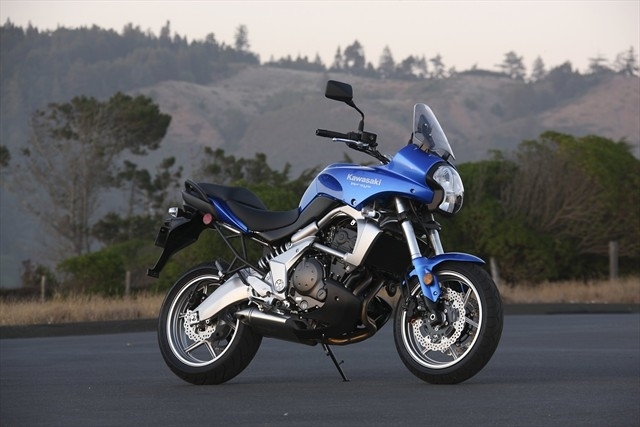 Another thing I noticed while riding the Versys is that the handlebar vibrated a lot. It vibrated so much that it made the mirrors blurry. I mean, really blurry. I couldn’t see a thing. Once I got up to around 40 mph, the vibrations smoothed out and I was able to see out of the mirrors fine. My Nighthawk’s mirrors vibrate some while I’m at a stop, but nothing like this. I would have to look into aftermarket mirrors or some kind of damper solution, otherwise it would be dangerous to ride in traffic. The background of this photo is basically what everything looked like in the Versys’ mirrors. The most thrilling part of the ride, and not necessarily in a good way, was when I got lost on my way back to the dealership. I have no internal sense of direction, and usually if I “go with my gut,” my gut will go the wrong way. That’s exactly what happened on my return trip. My gut said I should turn right, and very shortly I was seeing signs for I-55, and no turn-offs before the entrance ramp. Oh no! I’ve never ridden on the interstate before, and have never really wanted to, but now I was going to have to. Totally terrified, I merged into the rightmost lane in front of a semi (at a safe distance), traveled about two miles in slow (40 mph) rush hour traffic, and took the first exit I came to and got off the interstate. I had no idea where I was, but at least I wasn’t on the interstate anymore. After a few miles, I crested a hill and saw the hazy Chicago skyline in the distance and knew I was headed east. At least I was going in the right direction now! I needed to get back to Joliet Rd. or LaGrange Rd. or any road I could recall seeing on a street sign. I saw a sign for Wolf Rd. and was pretty sure I remembered crossing that road at an intersection when I was on Joliet Rd. I didn’t have any better ideas, so I hooked a right and followed it for a few miles. Eventually, I saw the most welcome sight of the day–a bright green sign swaying above a stoplight reading “Joliet Rd.” Whew! I turned LEFT this time, and familiar scenery began to appear. I felt my blood pressure drop down to a low boil. On my way back I caught up to a pokey car, and was stuck behind it for several miles (lots of curves, no passing areas). As we topped a hill, I spotted a cyclist at the bottom. There was enough room for a car to safely pass beside him. Just as the car in front of me was about a foot from the cyclist, the driver slammed on the brakes. So I, of course, had to squeeze my brakes. The bike was pitching forward and back as I clumsily modulated the lever, still not that familiar with the sensitivity. I was coming up on those red brake lights real quick, and was afraid I was going to dump the bike if I had to brake any harder. I took a quick glance ahead, saw there was no oncoming traffic, then took a quick glance to my left, shifted down into 3rd, hugged the tank with my knees, and rolled on a lot of throttle all in one swift motion. I zoomed around the car and cyclist and got safely back into my own lane. I gained a real appreciation for that extra torque. It made the ride more than just fun, it actually made it safer in that particular situation. My Nighthawk wouldn’t have had enough “get up and go” to zip around the car like that. Of course, I probably wouldn’t have needed to, as I know the limits of my brakes, and wouldn’t have been so nervous about squeezing them too hard. The rest of my ride back to the dealer was uneventful and enjoyable. Naturally, I missed another turn, but knew it as soon as it happened, and it was onto a tiny, dead-end street, so it wasn’t a big deal to turn around. When I pulled back into the dealership lot and my feet finally hit solid ground, I noticed how tense I had been for that hour or however long I was out. The salesman asked me what I thought, and I told him it was fun to ride, but I think it’s not the bike for me. I need something a little shorter and a little smoother. He was very cool about it and showed me a couple other bikes that I might want to check out sometime. After all that, I was ready for a nap! lol It took a lot more energy than I realized! Even though I’ve decided the Versys isn’t for me, I’m so glad I was able to test ride it. I learned so much about it and about myself on that ride. It made me confident that I can handle a bigger bike with a bigger engine. I also don’t feel like I need to hurry up and get a bigger bike, anymore. It made me appreciate just how enjoyable my Nighthawk is to ride, even with its shortcomings. I had hyped up the Versys in my head as being the bike I really wanted and that it would be so much better than my Nighthawk, but now I’m much more grounded about it and all other bikes. Sometimes, you just need a taste of what you think you want to realize what you really want (what you really, really want, zig-a-zag, ahhh). 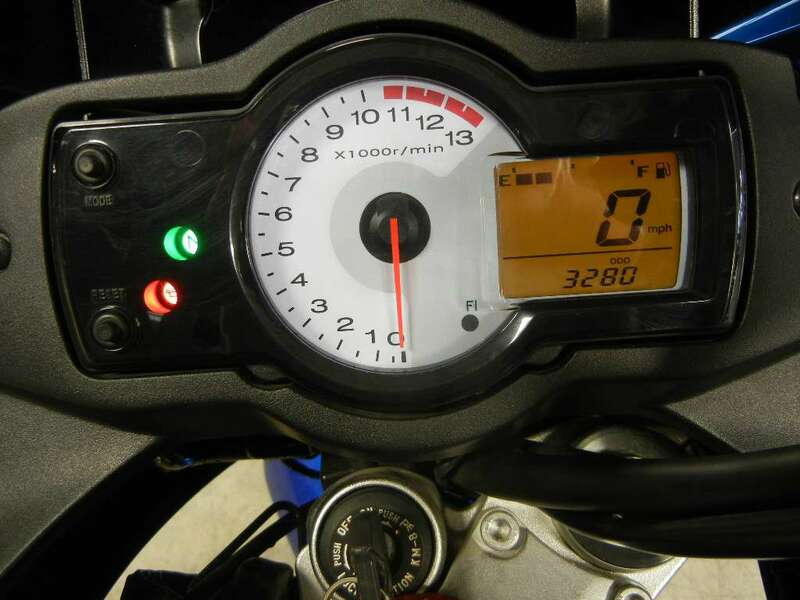 Good writeup of your test ride on the Versys. 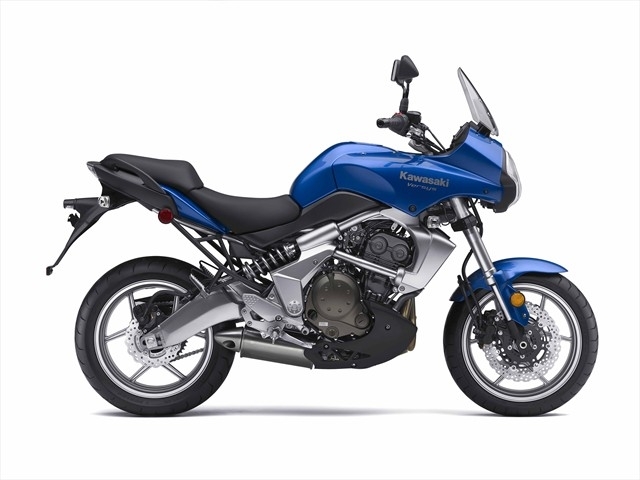 Might try an SV650 next-lots of similarities, but a bit lower in the saddle. I sat on a Versys and found it tough to get my feet down–but no problem on my SV.